you couldn’t harmonize your body. you couldn’t harmonize your breath. you couldn’t harmonize your mind. So we have to adjust ourselves step-by-step, and today, I first want to talk about harmonizing our diet. To harmonize your diet is to know how to eat properly. I come from Taiwan, and I think many people know that in Taiwan, there are lots of delicious foods. So Taiwanese people love to eat, and they know how to make good food. I like delicious food too, but when I came here as a monk, I was put in charge of the kitchen; so it’s my duty to serve people healthy food, and to harmonize their diet, because the food we serve here at the monastery is what the practitioners have to eat – they don’t have much choice. There are certain principles we have to follow in the kitchen. We couldn’t serve hamburgers and French fries every meal – that would make practitioners sick. So we have to serve a healthy diet, and we have to make the nutrition balanced, because that’s very important during a retreat: if you can’t eat good food, or enough food, that would generate many problems. 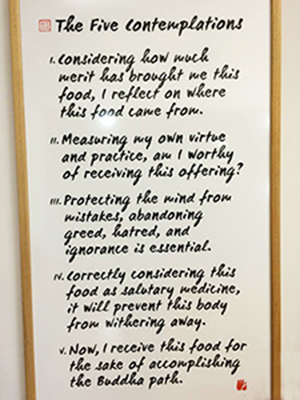 Those are the four principles we have to follow when we serve food. You can notice there’s no ‘Delicious’ principle there. Making the food delicious is not our first priority. That’s not even in the four principles, even though most people like delicious food, and most of the time that’s the first reason why they eat a particular meal. When you go out to eat, the first concern is: “Does this restaurant’s food taste good?” For the majority of people, taste is what matters most. But people come here to the monastery to practice – we don’t want them to expect too much from the food; although, our chefs are very good at cooking food, so most of the time our food is delicious. But that’s not what is most important. Considering how much merit has brought me this food, I reflect on where this food came from. Measuring my own virtue and practice, am I worthy of receiving this offering? Protecting the mind from mistakes, abandoning greed, hatred, and ignorance is essential. Correctly considering this food as salutary medicine, it will prevent this body from withering away. Now, I receive this food for the sake of accomplishing the Buddha path. Because in the monastery, all the money for food, buildings, and expenditures comes from donations – so we have to cherish every cent. We have to really figure out why we’re here, so we can fully receive and deserve all those donations. There’s a story from the Buddha’s time about what happened when the Buddha went out to beg for food one day. During his time, the monks and nuns made a living by going out and using their bowl to beg for food. They’d go to people’s houses, knock on the door, stand there, and people knew they were begging monks, and they could give them food if they liked. But if the person was not a Buddhist, or didn’t like this monk or that monk, they could just refuse to give any offering. If the monk didn’t get any food, he’d just go to the next house. 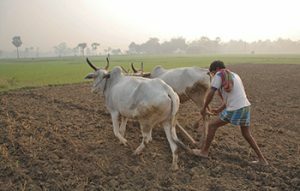 Coming back to the present time, we monks and nuns can still call ourselves farmers. Of course it’s just an analogy, but it’s the same principle: we practice Buddha’s teaching, and we have to practice diligently. We pass these teachings on to people as also a kind of ‘planting of a seed,’ so that in the future, after they learn these methods and teachings, they have a chance to get liberated. That’s why we can receive the offerings of food. But when most people eat, they don’t think that way; but when they come to the monastery, we will teach them this kind of concept. Instead of just eating because you paid for it, it’s better you have this kind of grateful mind when receiving the food, to help you practice more diligently. So the reason we eat is to try and sustain this body, and to make this body healthy and suitable for practice. That’s why we eat. In order to keep our body healthy, we have to choose what to eat, and how to eat. To eat or not to eat – that’s the question. We have to choose healthy food here. When you’re at home, you can choose the food you like. Of course, we suggest people be vegetarian, because that’s what we do here – we don’t eat meat or eggs. It’s good for your health, and it’s also good for the environment: if you use the same space, water and resources that are used to produce meat, you can actually make much more vegetarian food than meat-based food. There are many documentaries that all say a vegetarian diet is much better, because to produce meat, you have to produce a lot of food and water to feed the cattle. Instead, we can use those same resources to feed people – a lot of people. A vegetarian diet is not only good for you, but it’s good for the earth. So first of all, our food here is vegetarian. But at home, that’s up to you – you don’t have to feel guilty. There’s also another documentary that talks a lot about sugar. But most food nowadays contains a lot of sugar – like Coca-Cola, all kinds of nutrition bars, beverages, and more. If you look at the label, you’ll see they all contain lots of sugar – but the food companies want the food to taste good, so they have to add more sugar. Once you add more sugar, the food will taste more delicious. So the more you choose food based on the taste, the more you will want to eat sugar – that’s the fact we have to face. It’s better you just eat real food. For example, if you want to eat fruit, then it’s better you eat the actual fruit, and don’t just drink the juice. When companies make juice, they filter out all the fibers and other natural ingredients, so its only juice left – and that’s mostly just water and sugar. Even if you drink those 100% juices, that’s still just sugar and water. So it’s better to eat real food. Also, don’t eat anything too sweet or salty, and don’t eat fried food, like French fries. Actually, I like fried food, but after becoming a monk, I don’t have much of a chance to eat fried food, because we don’t offer it in the monastery – and that’s good for me. 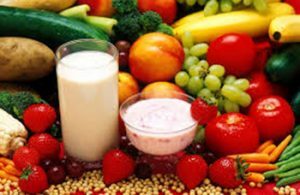 If you look online, you will find many theories about how to eat healthy. But even when we know all those theories, when you go to the restaurant or supermarket, it’s not so easy to just change our habits. People like to stay inside their comfort zones – they don’t have much motivation to change. For many practitioners it’s the same – so we can make a movie called, Practitioner: The Age of Buddha. We have to change. We want to get liberated, but we don’t want to change – but if you don’t want to change, there’s no chance that you can get liberated. This entry was posted in Articles and tagged Chang Xiang Fashi. Bookmark the permalink.